"The expenditures of the provincial government under the NDP have not deviated substantially — and certainly, they have not deviated upwards," says economist Melville McMillan. The provincial government is spending slightly less now than it has for most of the past two decades, relative to Albertans' incomes, according to a new analysis from the University of Calgary. 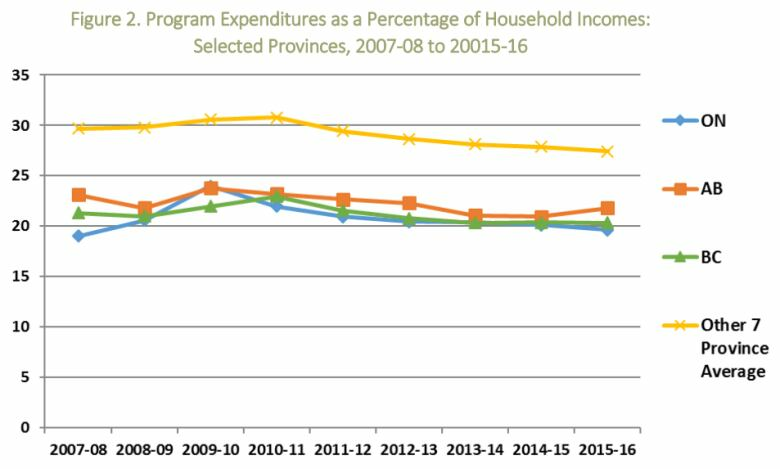 The analysis also projects the province is on track to spend less in 2023-24, as a proportion of total household income, than it did during the depth of the Klein-era cuts in 1998-99. "The expenditures of the provincial government under the NDP have not deviated substantially — and certainly, they have not deviated upwards," said economist Melville McMillan, who prepared the analysis for the university's School of Public Policy. 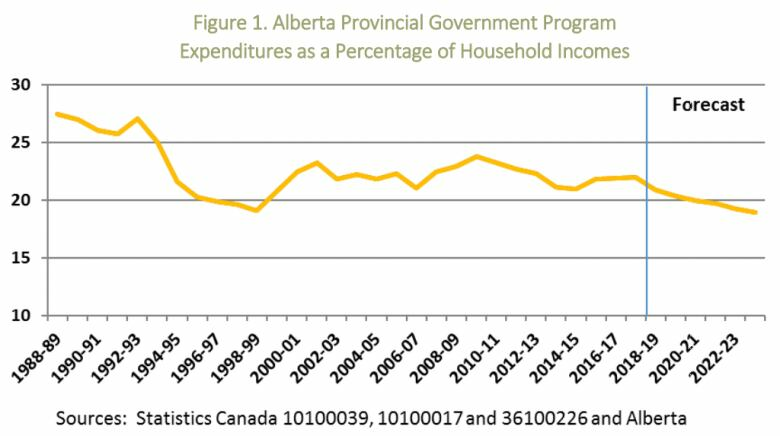 While government spending is a constant topic of political debate in Alberta, McMillan says the actual data shows relative spending levels haven't changed very much over the past two decades, regardless of who's been in power. The province has seen six different premiers since the year 2000, but annual spending on government programs has remained within a narrow range during that whole time, from a low of 20.8 per cent to a high of 23.7 per cent of household income. The average during that time was 22.1 per cent. In the current fiscal year, it's estimated to be 21 per cent. The provincial government's current plan to balance the budget by 2023-24 suggests expenditures "will decline steadily as a percentage of household incomes" between now and then, McMillan says in his analysis, and reach a projected level of 18.9 per cent in that fiscal year. He says that means Albertans are actually "facing the prospect of unprecedented low levels of provincial expenditures" in the near future. "Readers will note that the projected 18.9 per cent level is even slightly lower that the 19 per cent nadir of the Klein cut years," he writes. "Also, the 19.8 per cent average level over the next six years is also slightly below the 20.1 per cent average during the years of the Klein cuts." Alberta's relative level of spending is also well below most other provinces, McMillan says. Interprovincial comparisons of government spending often break it down on a per-capita basis, in which B.C. and Ontario come out as the lowest-spending provinces, and Alberta is "about average," McMillan​ said. But those comparisons don't account for the fact that Alberta's median household income is about 33 per cent higher than Canada's. McMillan's says his analysis, by contrast, uses household income "as a measure of the size of the economy" to better account for those differences between provinces. And, by that measure, "the expenditures of the Alberta government are essentially the same as those in British Columbia and Ontario." "And if you look at the other seven provinces, you find government spending is about 29 per cent of household incomes in those provinces," McMillan said. "So, at about 21 per cent, Ontario, Alberta and B.C. are quite low spending." He goes on to say in his analysis that ​Albertans will "need to decide on their preferred level of provincial expenditures" in the coming years. "With weak resource revenue growth anticipated and with no (further) tax increases planned, significant (relative) reductions in expenditures will be necessary," he writes. "Albertans are facing the prospect of unprecedented low levels of provincial expenditures. Assuming resource revenues evolve as expected, the alternative is greater taxes." With files from Tim Devlin.